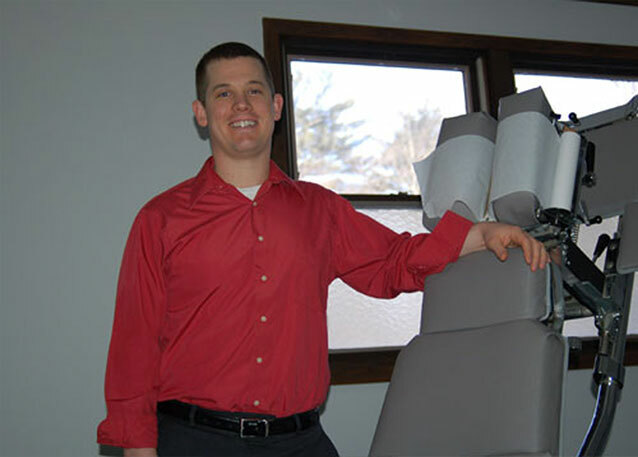 Active Chiropractic and Wellness - Chiropractor in Ellsworth, ME US :: What sets Dr. Mattson apart? Dr. Mattson’s expertise extends beyond the treatment of such common ailments as headaches, neck pain and back pain. A background in physical therapy, which he studied at Husson University, allows him to treat a wide range of additional problems. He is also certified in Active Release Techniques and by the Titleist Performance Institute as a golf, fitness and medical professional and can help golfers avoid incurring repetitive injuries. “There’s no one anywhere near the area that does that." After Husson, Mattson attended and graduated from Logan College of Chiropractic. His predecessor, Dr. Nesiba, is another graduate of the school.